We also offer matching save the date, information cards, favor cards, belly bands, menus, programs, table numbers, place cards, wax seals, custom wedding signage, t-shirts, etc. We also offer custom printed return address on the envelopes. 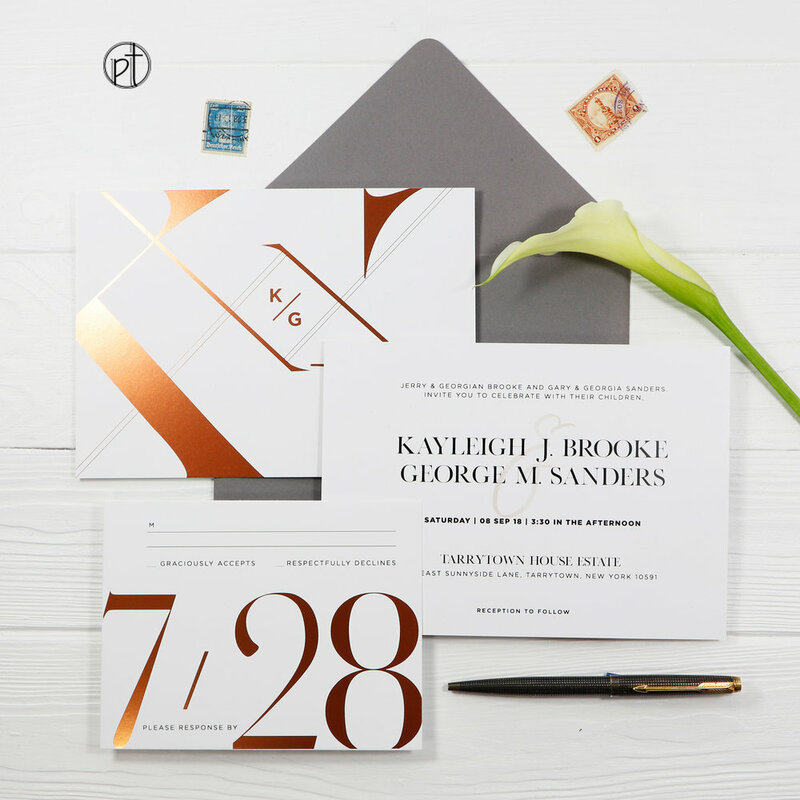 This invitation can be made to rose gold, gold and silver foil.